A luxe grilled cheese, sea-urchin flan, and 27 more of the best things we ate in 2017. It’s said that a chef’s talent can be judged by his or her soup—and we’re always drawn to Robert Wiedmaier’s decadent brews. 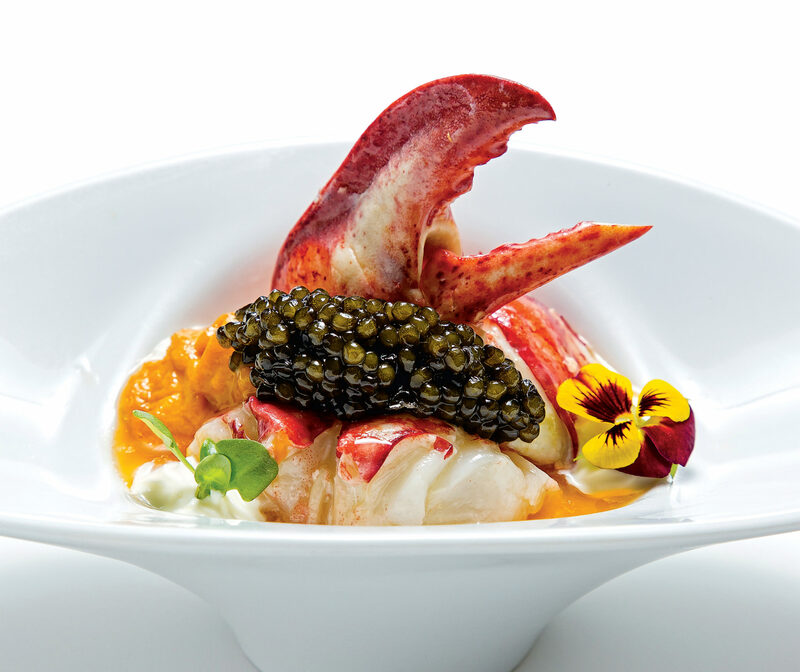 So it’s no wonder this dish is so winning: Intensified lobster bisque serves as a base for a custardy sea-urchin flan, crowned with ginger-and-butter-poached tail meat, crème fraîche, and a luxurious dollop of osetra caviar. 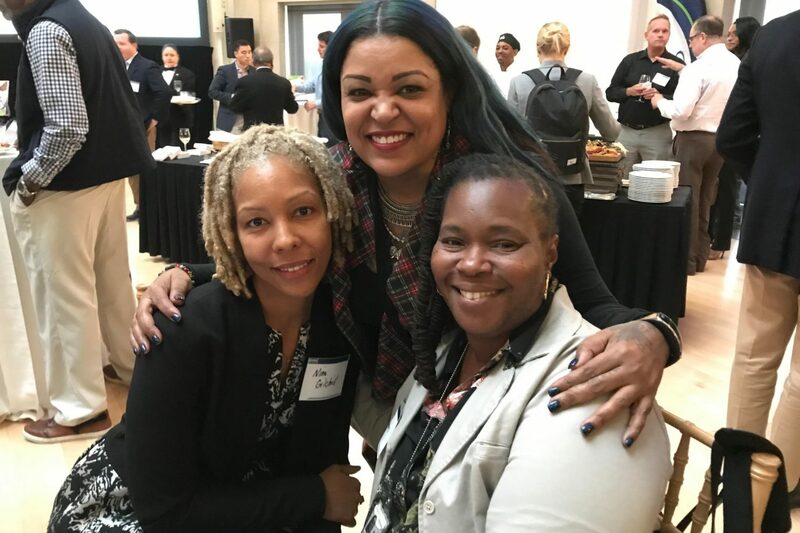 2401 Pennsylvania Ave., NW; 202-296-1166. Pancakes with parsley-root ice cream and trout roe at Bresca. Chef Ryan Ratino calls this dish his kitchen’s “demise.” (Those buckwheat pancakes, leavened with yeast, can be quite tricky to make.) But take one of the warm, slightly sour rounds, slather it with savory parsley-root ice cream (which gets its saltiness from pressed caviar), finish it with a few pearls of trout roe, and you’ll see why the creation is more than worth the bother. 1906 14th St., NW; 202-518-7926. 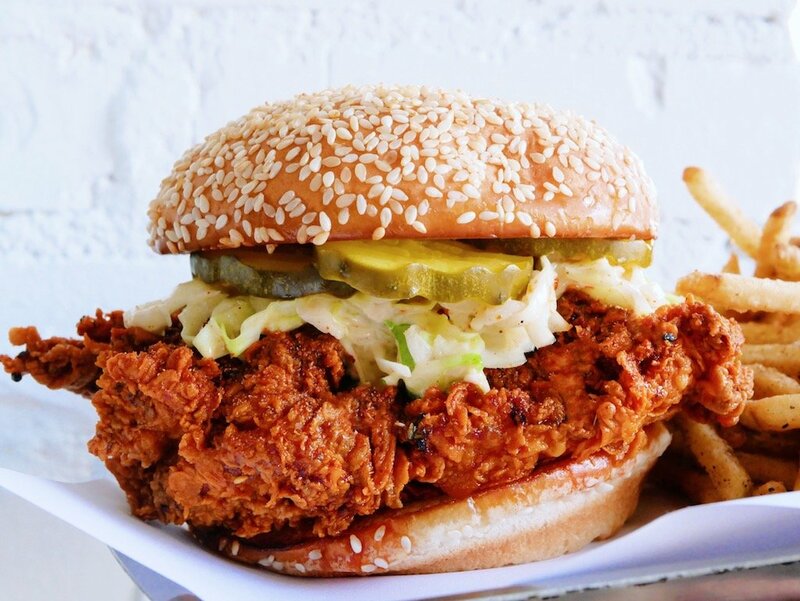 The showstopper dish on chef Erik Bruner-Yang’s menu isn’t the trendy fried chicken. It’s this caveman-size portion of roasted marrow, heaped with a fiery salad of minced pork shoulder, crispy shallots, Thai chilies, and loads of fresh herbs. Our approach: Spoon the bone’s unctuous core into the mix and find respite from the heat in the pile of rice and cucumbers. 1351 H St., NE; 202-838-9972. Scallops with almonds and steelhead-trout roe at Restaurant Eve. 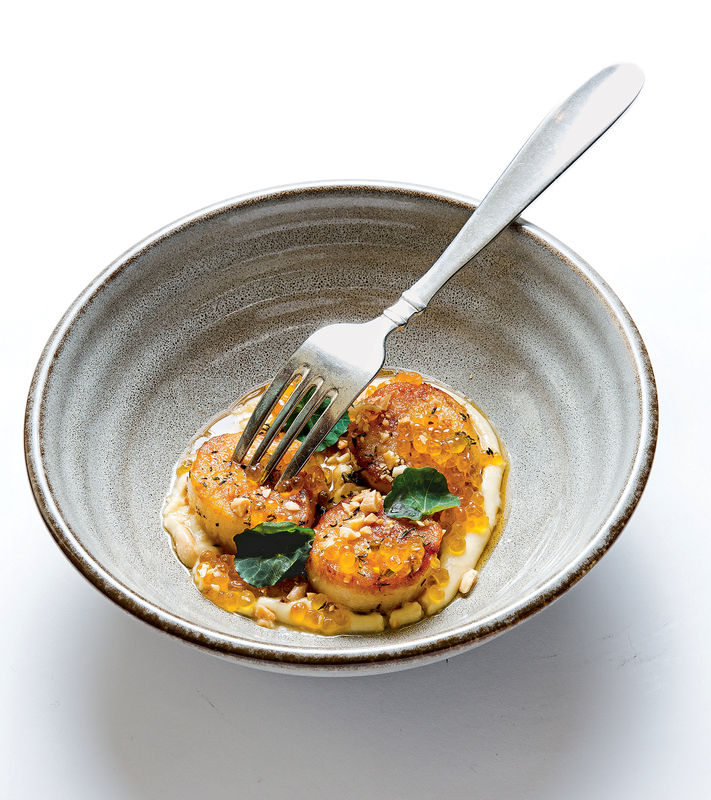 Ocean City might be better known for its saltwater taffy than for its scallops, but we think that should change—especially after trying the super-sweet delicacies atop a pad of silken parsley-root purée. A scattering of Marcona almonds and orbs of steelhead-trout roe give it a touch of saltiness. 110 S. Pitt St., Alexandria; 703-706-0450. Chef Wei Sun’s xiao long bao are wonders of culinary engineering—each flavor-packed parcel holds tender morsels of meat and a heady broth, kicked up with ginger-laced black vinegar. The even more elusive pan-fried version, available on weekends, is worth a trip in itself. 1121 Nelson St., Rockville; 301-279-0806. Street-style corn at La Puerta Verde. 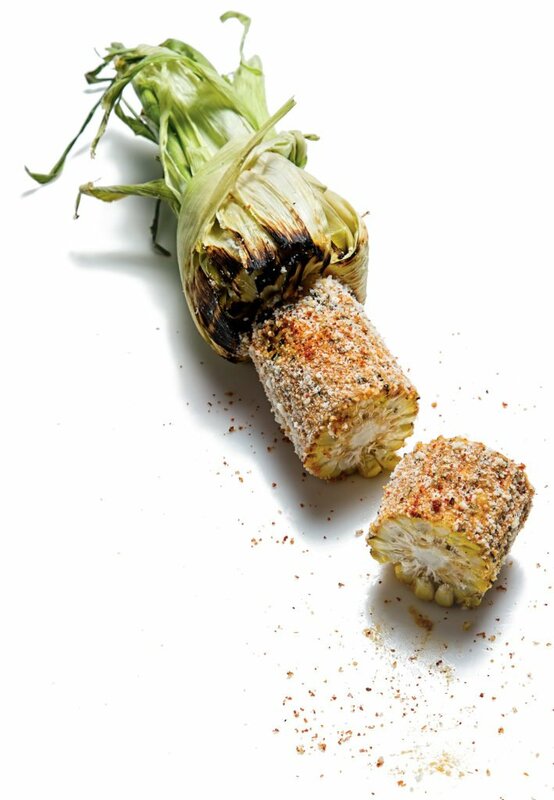 This popular street food is served on the cob—husk intact and tied back—at Ari Gejdenson’s Mexican restaurant in the District’s industrial-turned-trendy Ivy City neighborhood. The slightly charred corn is slathered in a spicy citrus mayo and dusted with cotija cheese and Tajín, a chili-lime seasoning. 2001 Fenwick St., NE; 202-290-1875. This sushi bar’s tasting menu doesn’t escalate from light to heavy. Instead, flavors swing pendulum-like between ethereal and rich. One of the highest highs: this miniature riff on a Japanese katsu sando—typically a fast-food pork-cutlet sandwich, here dressed up with luxe A5 Wagyu beef. The beautifully marbled meat is fried in rice oil, dabbed with tonkatsu sauce, and tucked between house-made milk toasts. Now if only there were a full-size version. 5455 Wisconsin Ave., Chevy Chase (inside Sushiko); 301-961-1644. Smoked fish board at the Tavern at Ivy City Smokehouse. ProFish, the seafood distributor that supplies many of Washington’s top restaurants, also smokes fish at the restaurant and market across the street from its Ivy City warehouse. 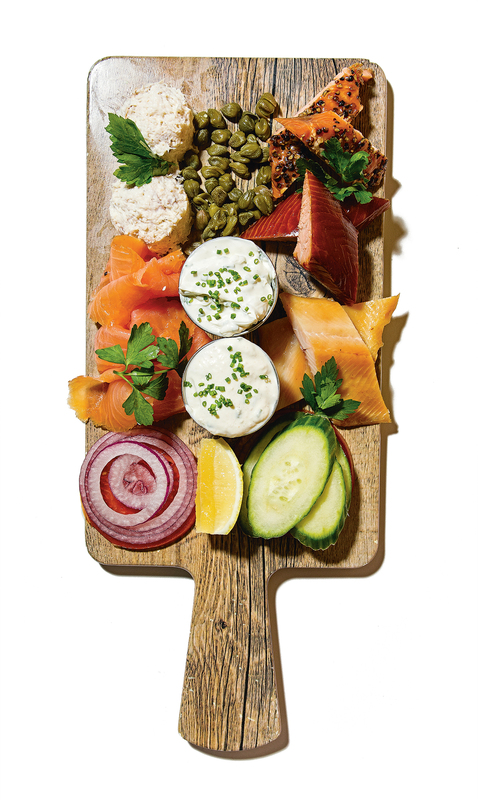 Head to the upstairs tavern for a bagel platter with five smoked offerings, including whitefish salad, North Carolina rainbow trout, and—our favorite—Pacific Northwest–style “salmon candy” sweetened with honey and brown sugar. 1356 Okie St., NE; 202-529-3300. Octopus is everywhere these days—and thanks to all the rubbery versions we’ve sampled, we could use a little less of it. A bright exception is chef Autumn Cline’s Thai-style dish, shot through with fresh chilies and citrus. A tenderizing poach and char-grill yields the perfect texture, as do dabs of creamy coconut sauce and peanut-studded papaya salad. 1309 Fifth St., NE; 202-544-4702. 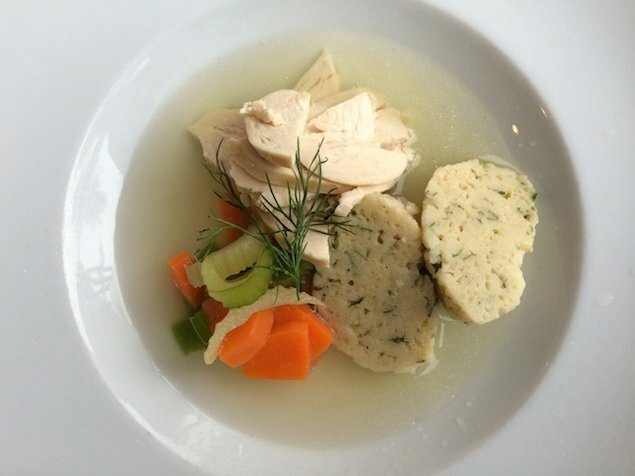 Trust us, this downtown dining room doesn’t put forth your typical bowl of soup. The Madeira-amped oxtail broth is presented tableside in a siphon, or vacuum pot, typically used for brewing coffee. As it heats, the liquid rises to an upper chamber filled with mushrooms, herbs, and other aromatics. 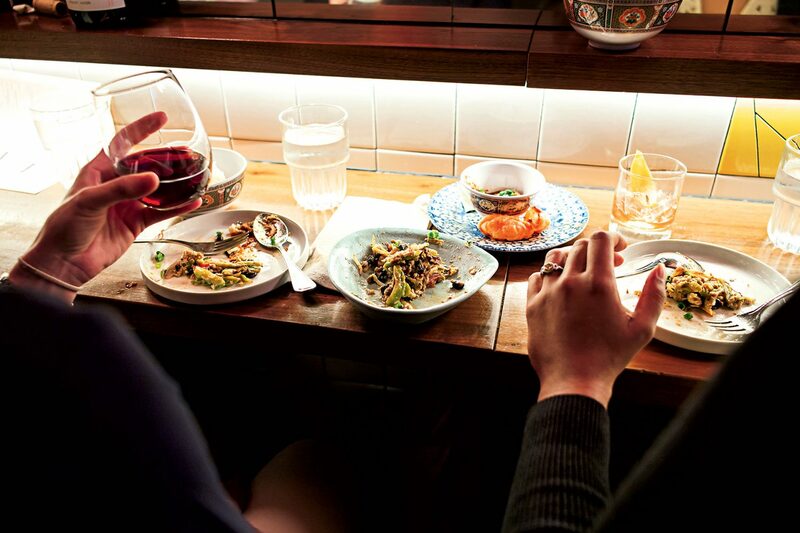 Once it has steeped, a server pours it over dry-aged beef tartare, a lobe of foie gras, and shaved black truffle. 1200 16th St., NW; 202-448-2300. 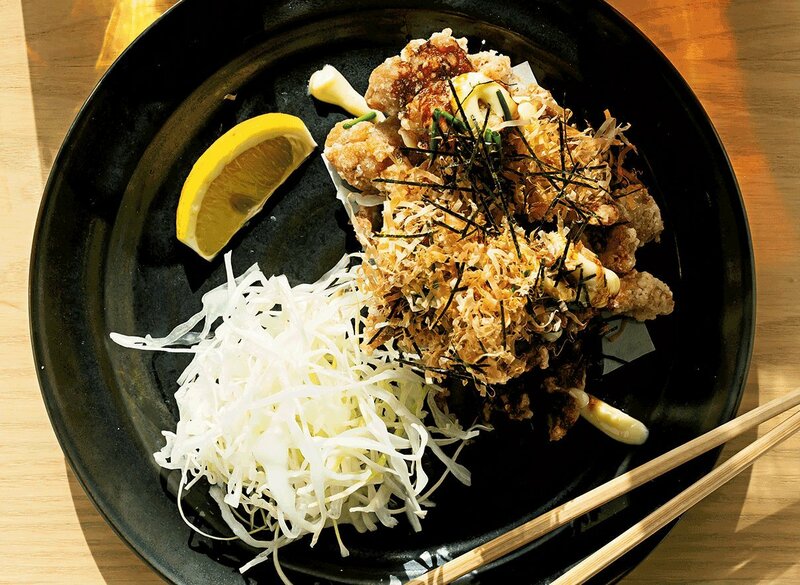 This pole-caught-Japanese-mackerel dish drops on and off the menu depending on availability. When it’s around, jump on it. Slices of sashimi are fanned across the carcass of the fish, and soy with grated ginger (rather than wasabi) helps cut through its natural fishiness and fat. When you’re done, the kitchen deep-fries the bones and returns them with a wedge of lemon for a cracker-like snack. 1117 V St., NW; 202-588-5841. 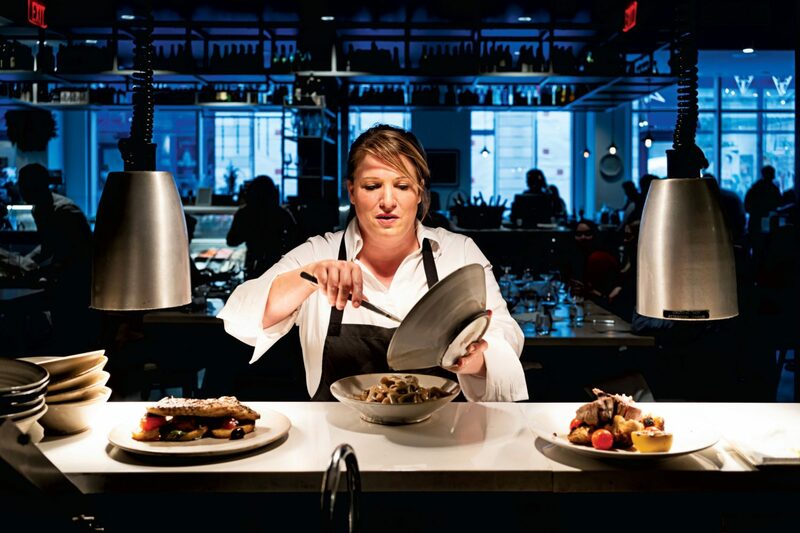 It’s hard to imagine a better bar snack than a grilled cheese, or a better grilled cheese than the one at José Andrés’s cutting-edge cocktail temple in Penn Quarter. Melty batons of aged cheddar, Gorgonzola, and Brie are grilled to gooeyness on a hot plancha. They’re even more addictive with a dip of tangy honey-mustard sauce, or—go ahead, splurge—fresh truffles. 501 Ninth St., NW; 202-393-4451. Seafood pancakes are as ubiquitous in Korean restaurants as burgers are in American places. Fat, thin, greasy, soggy—we’ve tried ’em all. But it’s the pancake at this homestyle joint in Annandale’s Koreatown—crisp as hash browns and stuffed liberally with octopus and green onions—that sets the standard. Plus, its steering-wheel-like circumference makes it one of the most generous portions around. 7211 Columbia Pike, Annandale; 703-333-2861. 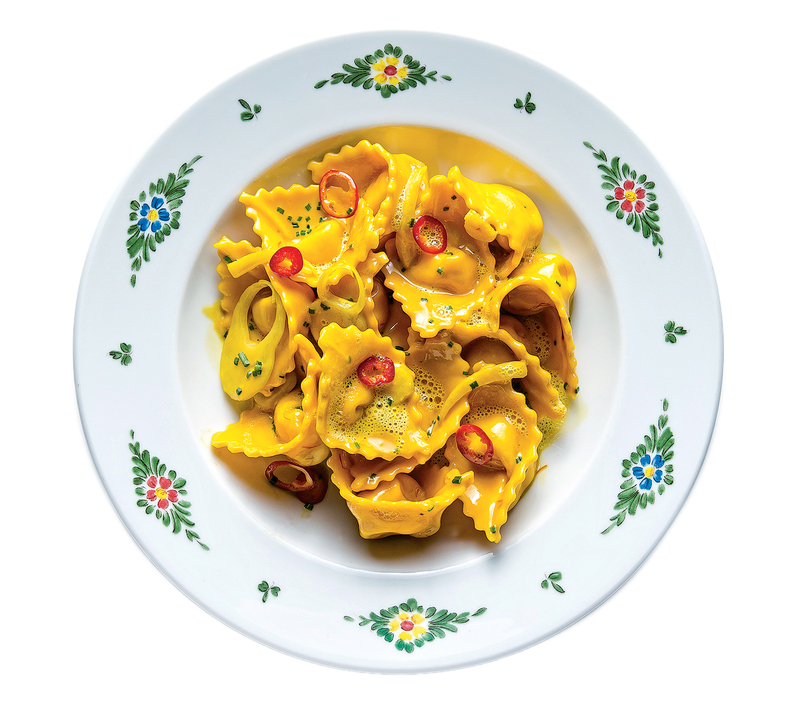 Chef Nick Stefanelli lets diners mix and match dishes to build their own tasting menus at his dining room near Union Market—we’re tempted simply to choose four plates of the cappelletti. Stuffed pastas change with the seasons, but a recent version filled with winter squash and ricotta had the creaminess of cheesecake. 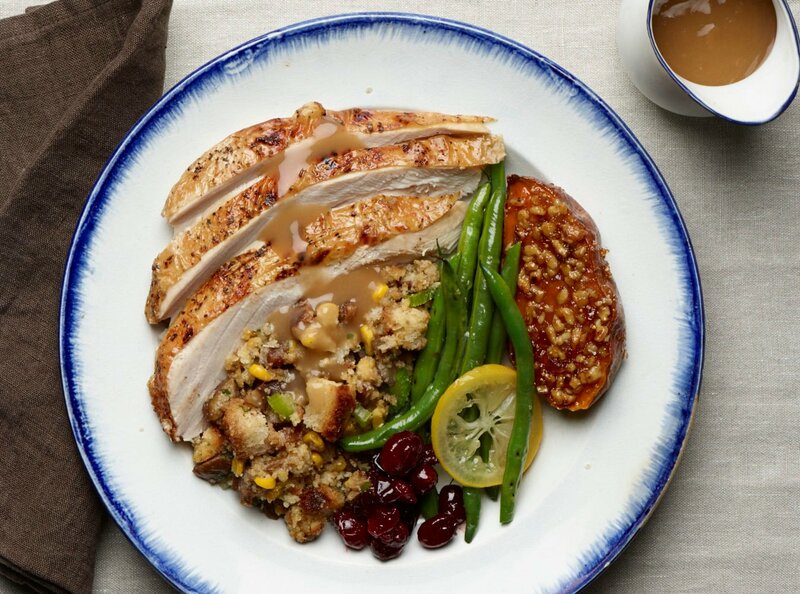 A warm brown-butter-and-sage sauce cloaked each bite. 1340 Fourth St., NE; 202-608-1330. Crab tortellacci at Osteria Morini. Maryland crab seems to grace every menu when it’s in season, but there’s one dish we crave all year round: chef Ben Pflaumer’s stuffed pasta at this Navy Yard spot. Plump bundles are filled with sweet meat and tossed in a buttery sauce with fennel. Chilies add a little heat, while fragrant saffron lends a sunny hue. 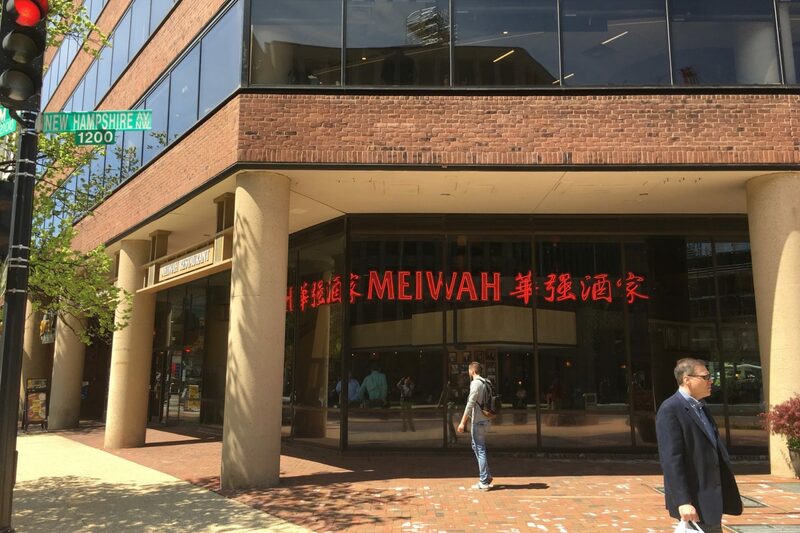 301 Water St., SE; 202-484-0660. Beef chow foon noodles at Tiger Fork. 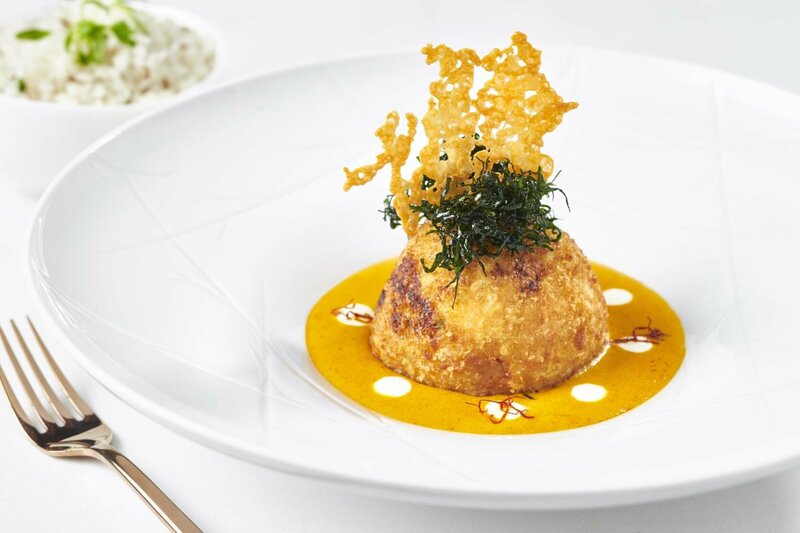 Chef Irvin Van Oordt’s rendition of this Cantonese classic is pure Chinese comfort food. Richly marbled Maryland brisket gets a 24-hour soak in black vinegar, ginger, and garlic, then is seared in a hot wok with bean sprouts, scallions, and fat, chewy rice noodles. Attention, vegetarians: An off-menu eggplant version is just as satisfying. 922 N St., NW; 202-733-1152. 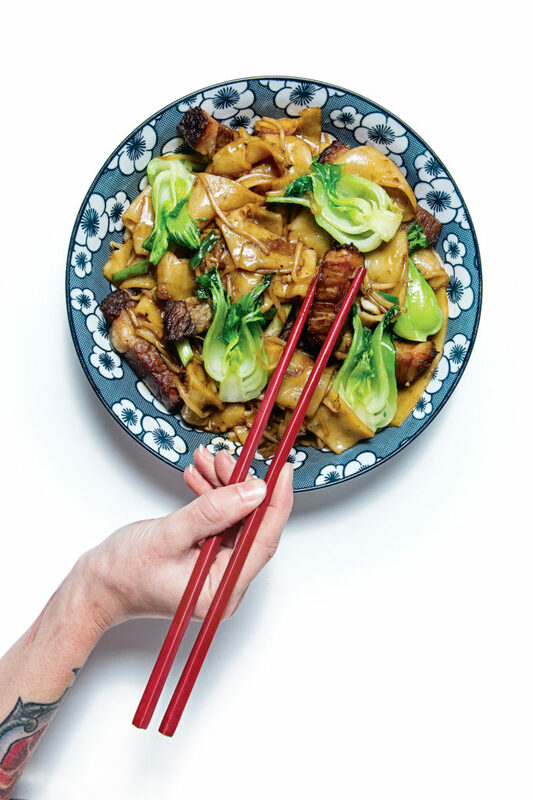 At their hopping Korean/Chinese joint, chefs Scott Drewno and Danny Lee masterfully reimagine cumin-laced lamb chops—a Szechuan-menu standard—into a tongue-searing noodle dish. Marinated, braised lamb necks are tangled with Shanghai-style noodles along with freshly toasted and ground spices, including chili flakes, numbing Szechuan peppercorns, fresh black pepper, and of course a whole lot of cumin. 423 Eighth St., SE; 202-558-9934. New England Smash Burger at The Salt Line. 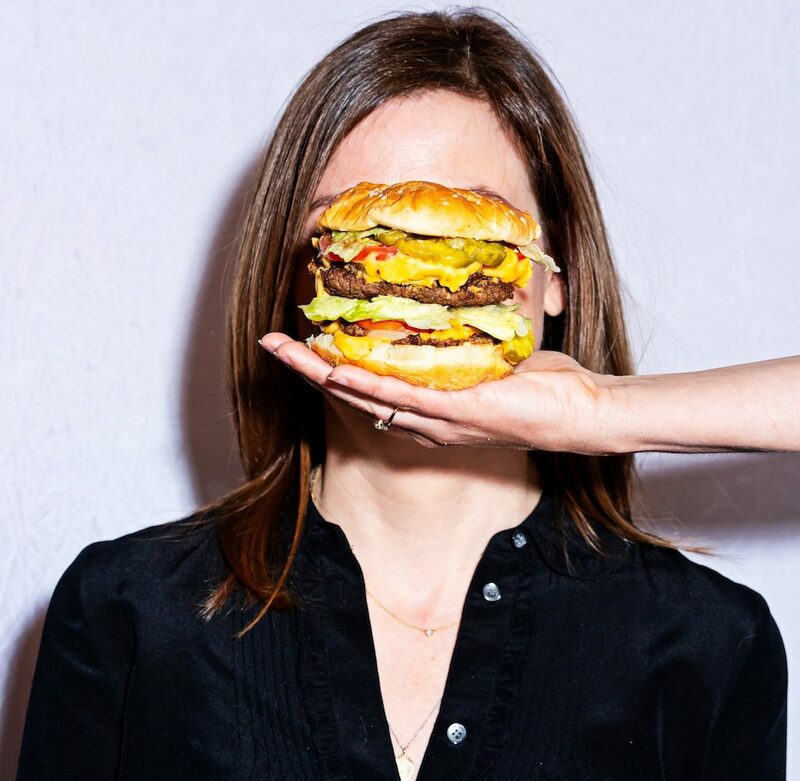 Chef Kyle Bailey is an avowed hamburger geek, but we’re glad that he had the confidence to play it simple when coming up with his own rendition at this Navy Yard restaurant. 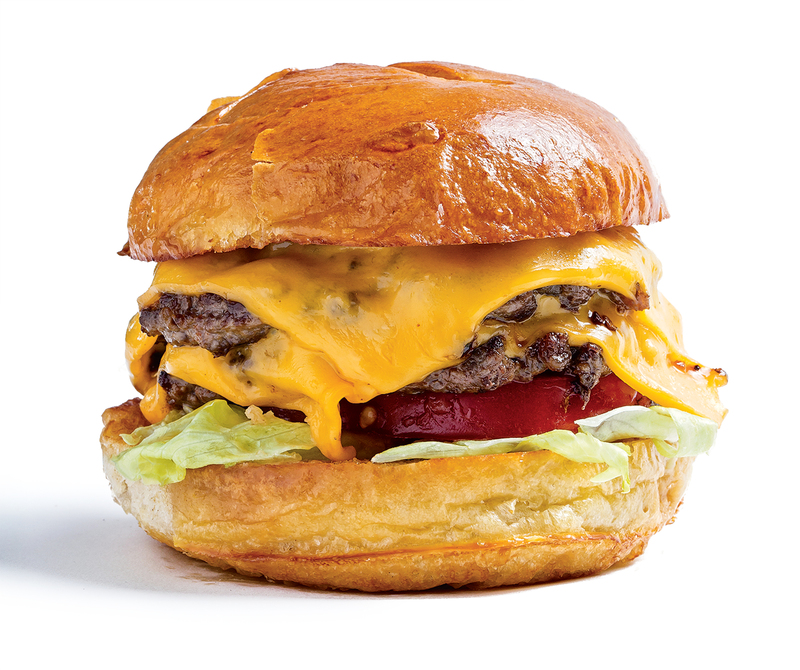 His take features two salt-and-peppered patties smashed on the griddle and gilded with squares of American cheese. The fanciest thing about it? The house-made bread-and-butter pickles that accompany the thick tomatoes and shredded iceberg lettuce on a soft, squishy bun. 79 Potomac Ave., SE; 202-506-2368. Bolivia’s answer to schnitzel is this thinly breaded steak. The plate-eclipsing dish is even heartier at this Falls Church spot thanks to a base of white rice and fried potatoes plus two fried eggs on top. A pile of diced tomatoes and onion balance the richness, but bring a big appetite—or a few friends—to make even a dent in the thing. 7151 Lee Hwy., Falls Church; 703-533-1105. The meltingly rich squares of Skuna Bay salmon, which get a three-minute turn in a sous-vide bath, would be memorable on their own. 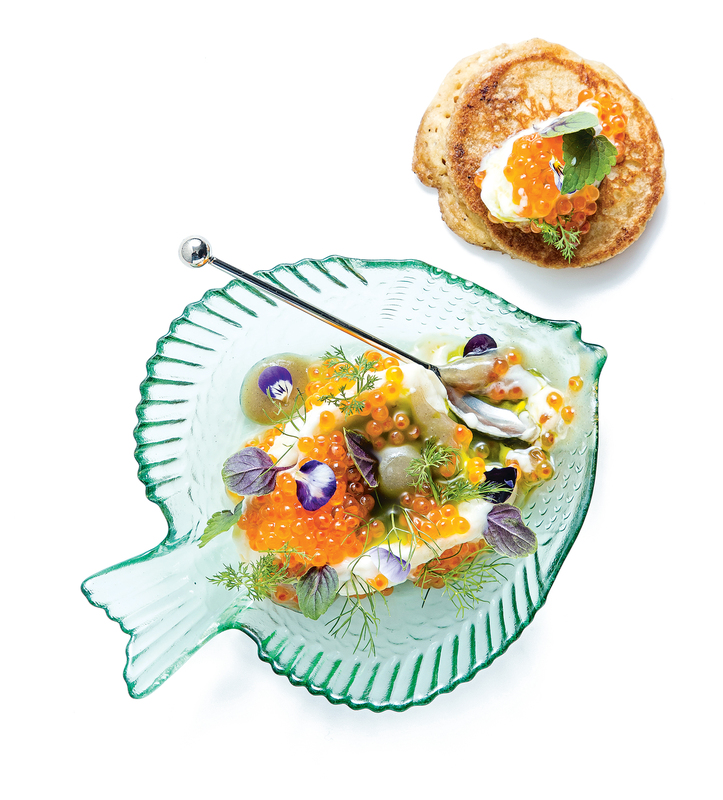 Still, it’s the accompanying sauce—a white-wine reduction that pops with tapioca pearls and trout roe and has a zing of finger lime, a tiny Australian citrus fruit—that catapults this dish into hall-of-fame territory. 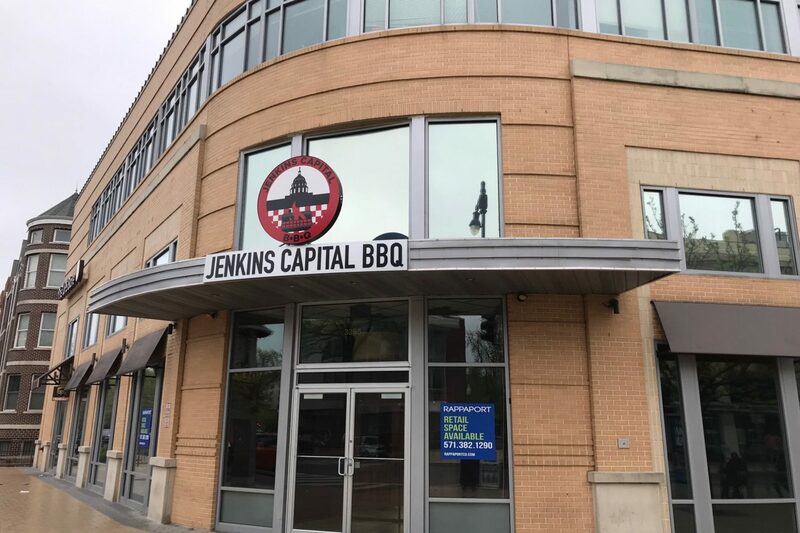 715 Eighth St., SE; 202-595-7375. 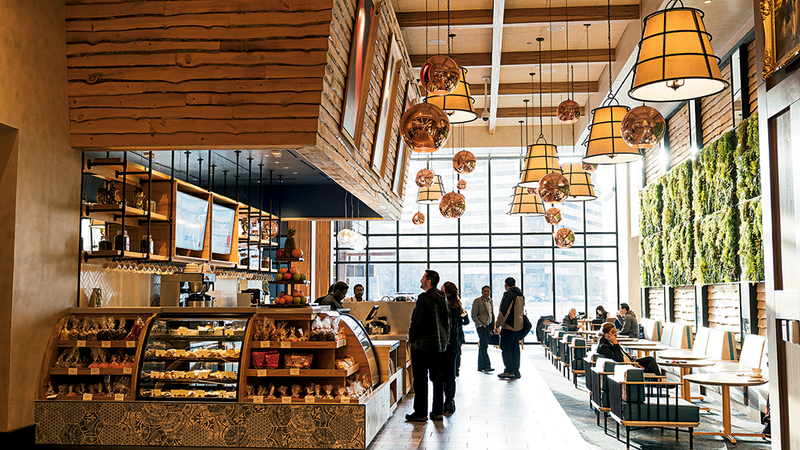 Jeremiah Langhorne’s Shaw dining room celebrates all things Mid-Atlantic. This family-style platter comes with a decidedly Vietnamese accent—fistfuls of mint and cilantro, along with bread-and-butter-style pickled jalapeños. Grab a hunk of the beautifully fried fish, wrap it in a johnnycake, and don’t be sparing with those toppings. 122 Blagden Alley, NW; 202-450-1015. Smith Island-style carrot cake at Addie’s. Smith Island cake —Maryland’s state dessert—can be oddly hard to find in these parts. The towering confection is typically made up of eight or so skinny layers of yellow cake and chocolate icing. Turns out, though, the structure is perfect for carrot cake—the many ripples of sweetened cream cheese turn what can be a plodding dessert into something almost ethereal. 12435 Park Potomac Ave., Potomac; 301-340-0081. Upscale soft-serve is the trendy frozen treat du jour, but we’d forgo all the swirly stuff for the adult float at this Spanish mainstay in Logan Circle. Part digestif, part dessert, the miniature glass arrives with vanilla gelato, sweet and slightly nutty Moscatel sherry, chocolate pearls, and a house-made maraschino cherry on top. 1520 14th St., NW; 202-319-1404. 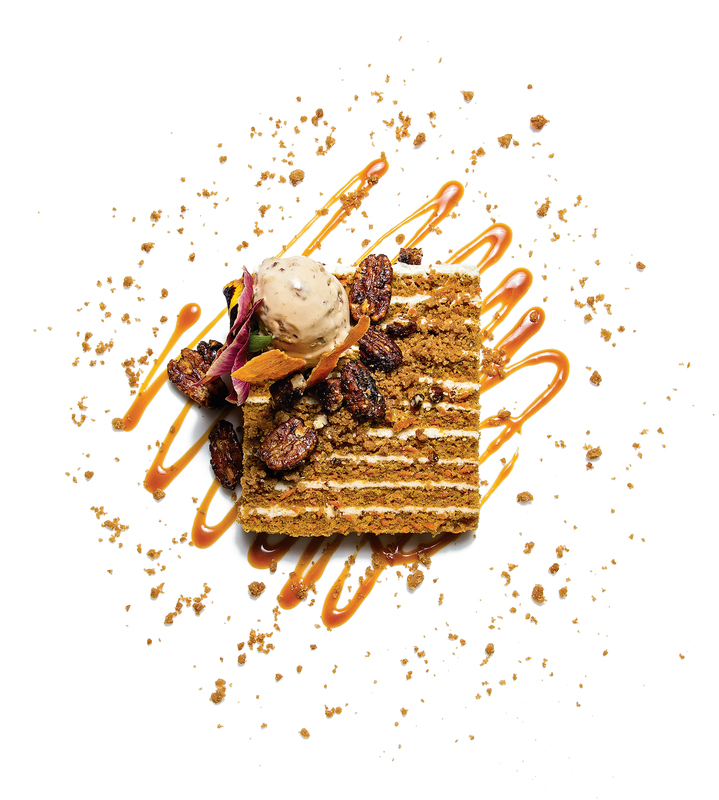 At a time when cheffy riffs on humble sweets—candy bars, pie—dominate the scene, pastry chef Aggie Chin’s elegant French desserts are a welcome adult reprieve. Case in point: her even more elegant spin on French opera cake, presented with pudding-like coffee namelaka, a single-origin chocolate ganache, and house-made ice cream infused with Bastille 1789 French whiskey. 900 16th St., NW; 202-506-3833.